Your next new vehicle is about more than a machine that gets you from point A to point B. It's an investment in your livelihood and the potential to improve your lifestyle. This is where Subaru steps in with the latest 2019 lineup, and we think you'll agree that it's better than ever before. 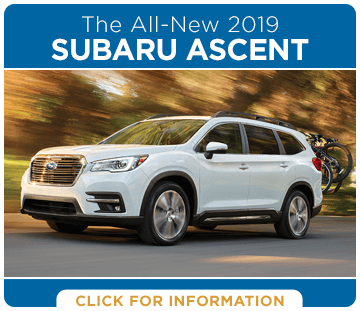 This year, Subaru has stepped into the midsize three-row SUV game in a big way with the all-new 2019 Subaru Ascent, and that's just the beginning. 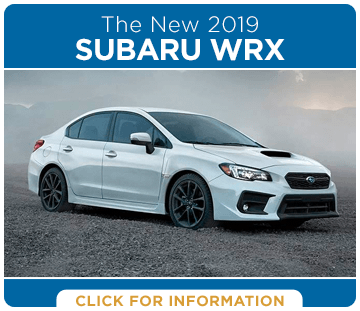 The legendary Subaru WRX continues to define the affordable all-wheel drive sport sedan while the new 2019 Subaru Legacy and the latest Subaru Impreza continue to offer more value than any other midsize sedan or small car. 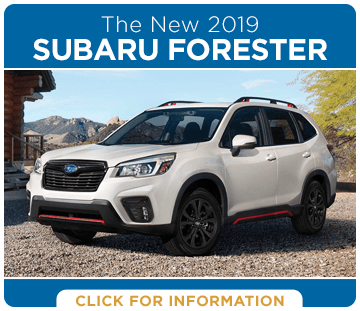 Of course, the reputation of a Subaru SUV continues to earn prestige with the all-new 2019 Subaru Forester and the iconic 2019 Subaru Outback. 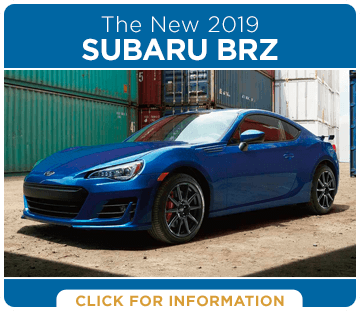 What's more, affordable rear-wheel drive performance is embodied in the latest Subaru BRZ, and you'll find more information on all the Subaru vehicles in these informational model pages. 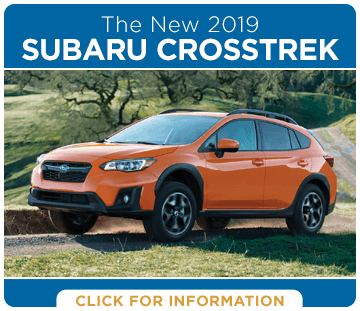 Once you have an idea of what to expect from a new Subaru, be sure to check out our frequently updated special offers to see just how affordable your next new Subaru car or SUV can be at Carter Subaru Shoreline just south of Everett. 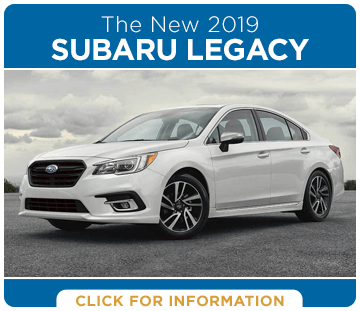 What Makes a New 2019 Subaru Ideal for Your Next New Vehicle? With 97% of all Subaru models sold over the past decade still on the road and going strong, it's no wonder that this is among the fastest-growing names in the automotive market. Recently, Subaru was again recognized as the Top Brand for Residual Value, according to the ALG. With this level of reliability and value, you simply can't go wrong with a Subaru. However, there's a lot more that makes Subaru vehicles special. The renowned EyeSight® driver assist technology is now standard on a variety of models, and an acclaimed BOXER® engine is under the hood of every new Subaru. 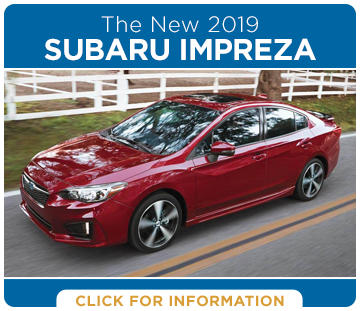 Find out how Subaru compares to the competition in our competitive comparison pages and schedule a test drive to discover it all firsthand. We look forward to earning your business at Carter Subaru Shoreline, serving Lake Stevens and Snohomish.